Vintage Levi's 512 "slim fit, straight leg" jeans. Cut-off, frayed hems. 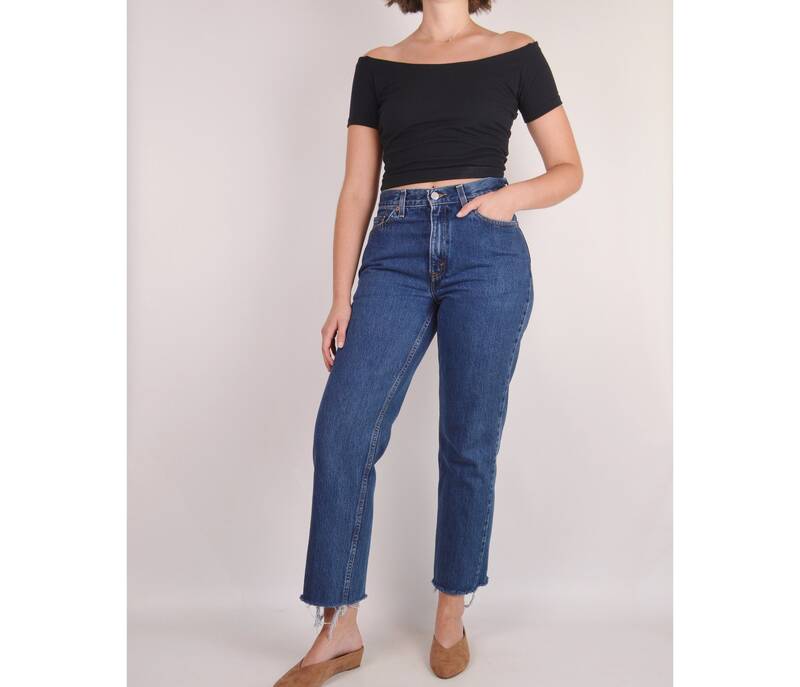 Mid-high waisted, medium-dark wash. The perfect everyday jeans!